You CAN Enable Adoptable Storage on Galaxy S7, but should you? If you’re an Android enthusiast like myself you probably know by now that you can use a few ADB commands and enable adoptable storage on your Galaxy S7 or S7 Edge. The guide on how to do this was initially posted by long-time Android developer Paul O’Brien over on his website Modaco.com. After I read Paul’s clever strategy I put it to work on my own Verizon Galaxy S7 Edge, and even made a short tutorial video on my YouTube channel with the process and terminal commands, you can check that out below if you’re interested. There are many reasons you might want adoptable storage enable on your S7. If you like to store a lot of media, enjoy taking many pictures, or play large games, these are great reasons to think about adoptable storage. While the option is very appealing, there are some things you should deeply consider before you pull the trigger. 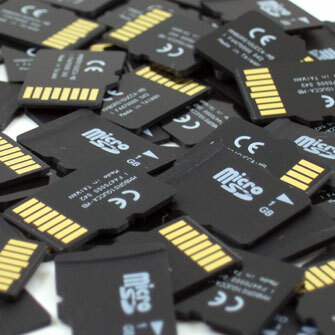 A few of those were outlined in the introduction to my video tutorial: a fast micro SD card is a MUST, some games will still be a bit laggy if stored on the SD, and the SD card will now be locked to your device due to encryption. As I’ve used adoptable storage on my S7 Edge for about a week now, I want to give a few more cautions to consider before doing this yourself. I entered a few commands in Terminal and I was mostly pleased with myself, having added 64GB of new internal storage. I now had myself a 96GB Galaxy S7 Edge. I was all set. I teach at multiple universities around the Phoenix Valley, as well as running my business, so I spend a lot of time in my car. One of the main reasons I wanted adoptable storage was to store offline songs from Play Music and Spotify so I can save data while listening to tunes while driving. I quickly loaded up my S7 Edge was several gigabytes of offline music, thinking that the Play Music app would naturally store the songs in the location with the most available free space available. Since the location with most free space was my newly adopted SD card, I was happy with this. After a few days of downloading offline songs, I noticed something concerning. Play Music was not saving the songs to my SD card at all, it was saving them to my true internal storage. In addition, since Play Music is a system app, there is no way to change the target to the SD card since it now part of your internal storage. It then occurred to me, Play Music does not “see” the SD card at all, it thinks I only have 32GB of internal space! I then considered the possibility that if I fill up all my true internal storage, the songs would then go over to the SD card. I was wrong. Once I filled up my remaining true internal space, I received a system error warning me of the inability to save more data! Ever hopeful, I attempted the same process with Spotify, for which I also have a streaming subscription. Unfortunately, the same problem exists with Spotify. Finally, I tried Tidal, which I also subscribe to (don’t ask why I have so many music subscriptions… I might still have student pricing on some of them!). Amazingly, Tidal does the proper thing, it saves all songs to the SD card even when it is adopted as internal storage. Of course, not many people used Tidal compared to Play Music and Spotify. One especially annoying factor for me is that Tidal cannot be used with Android Auto in the car, which I use daily. After a bit of research, I found out that many people pointed out this issue as early as November 2015. I even found a Google Support article detailing this issue with Play Music and adoptable storage. Sadly, Google had not paid much attention to the article for over 4 months…until they finally updated the status on March 4, 2016. Apparently, they are now aware of the issue and actively working on a solution. It seems to me that the lack of a micro SD slot for the Nexus 5X and Nexus 6P caused Google to pay relatively little attention to this issue until the launch of high-profile phones like the S7 and LG G5. In addition to my own issues with Play Music and Spotify, many other users have commented on my YouTube saying they have experienced similar issues with apps that save offline data. One user complained that he uses a fitness maps app and all offline maps were saved to true internal storage. Many others had the same beef I experienced with Play Music, Spotify, or another music app. While these are issues, all is not lost. Most large games seem to correctly save to the SD card, and have the option to move between SD and true internal storage. This makes adoptable storage a compelling option for gamers. Any pictures you take with the Camera app on your phone also go to the SD card by default in my experience, making adoptable storage great for photographers and selfie lovers as well. At the end of the day, I’m sure Google will rectify the issue with Play Music with an update in the future. Until then, you have to decide if adoptable storage is for you. That decision depends on what you plan to accomplish by enabling the option. I hope that my experiences have helped you make an informed decision. As for my current choice? I decided to partition my SD card into a 50/50 mix of adopted and external storage, allowing Play Music to see the external portion for offline music. Feel free to hit me up in the comments or on Twitter, I’ll do my best to help! I am currently a researcher and Adjunct Professor at Arizona State University and Grand Canyon University. I fell in love with Android with the Nexus One release and realized that it was superior to iOS in all the ways I care about. I still use a Mac (and an iPhone for the camera), but my Apple tech products pale in comparison to my number of Android devices (watches, tablets, and phones). When I’m not rooting/modding one of my many Android phones or doing math/programming, you can find me taking in Phoenix Suns/Arizona Diamondbacks games in downtown Phoenix, and drinking good beer! Very valid article. This says exactly what I’ve been discovering/experiencing.